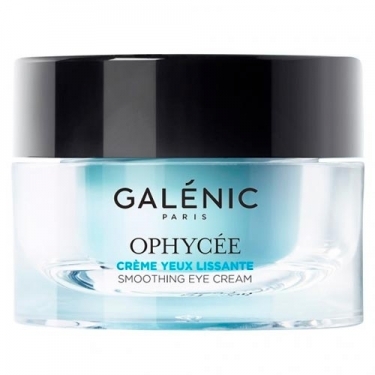 DESCRIPTION: Ophycée Crème Yeux Lissante from Galénic is a fine, bluish, fresh and non-greasy cream with olfactory notes of aniseed watermelon, jasmine and sandalwood. It was created with the purpose of softening wrinkles, remove dark circles and lighten the eyes. 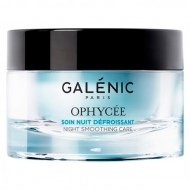 The main active ingredient, the absolute extract of blue algae, which has anti-wrinkle properties, is combined with vitamin E, with antioxidant properties, moisturizing molecules, glycolipids to improve dermal-compatibility and optical powder to provide a perfect light and brighten shadow areas.